The Early Access Sale is for cardholders and runs from July 13-20. Only Nordstrom debit and credit card holders can shop the sale during this time. 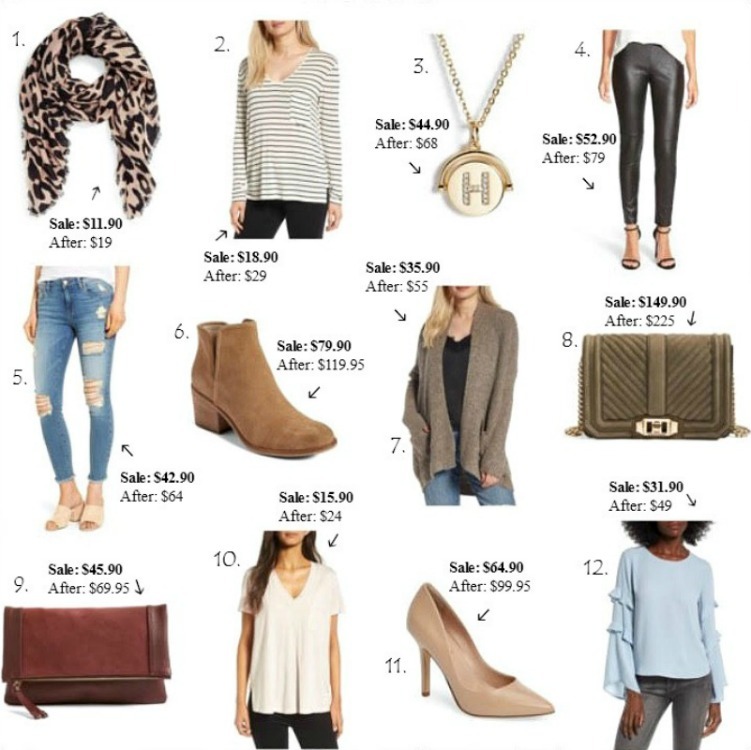 It's definitely worth having a Nordstrom credit card because you can shop this sale early and be sure to get your favorite items before they sell out! The sale opens to the public on July 21 and runs through August 7. After that, prices go back up. 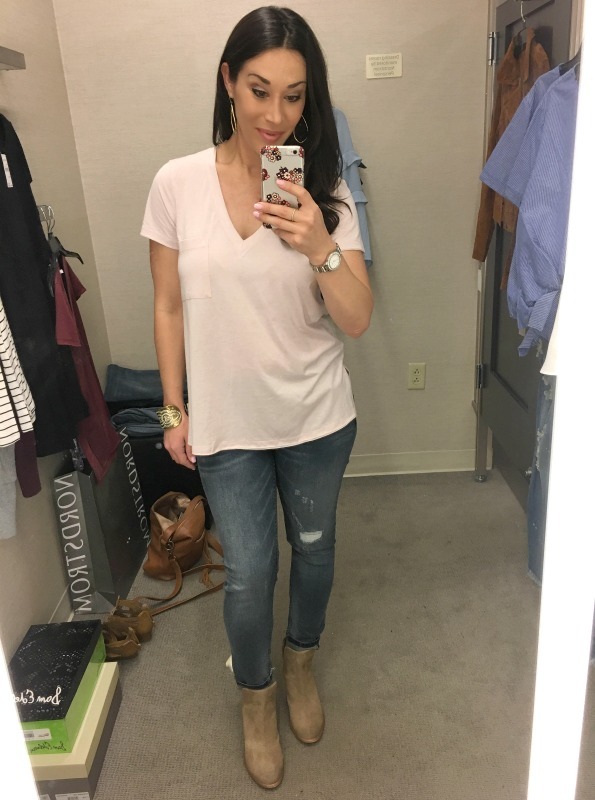 This is the best basic layering tee for your year round wardrobe! I bought last year's version of this tee and love it, but I like it even better this year. The material is definitely higher quality and I'm loving the side slit detail! This is the cordovan color and I'm wearing a size small. These are one of my favorite affordable jeans in the sale. I actually ended up purchasing them! I really like the medium wash and shredded bottoms of the pant legs. 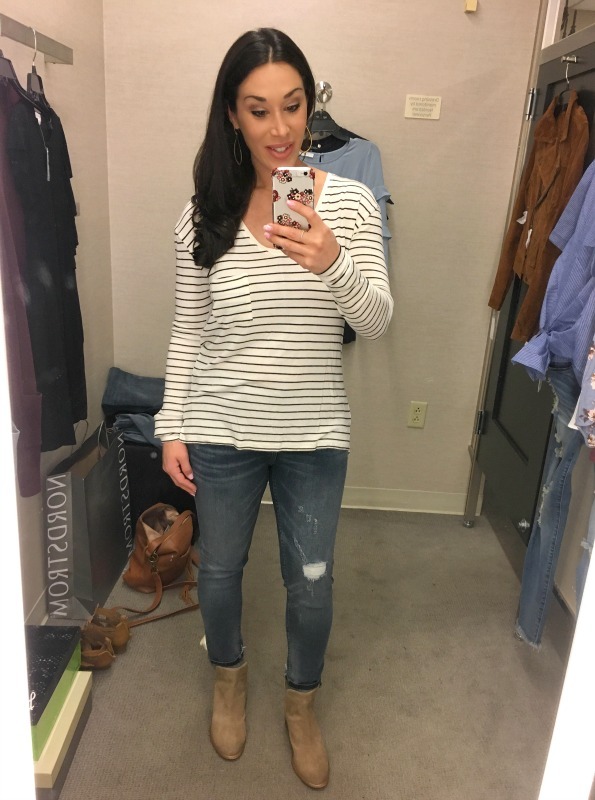 These jeans look great with booties for fall and winter + wear now with wedges, heels and sandals! If you're looking for an every day neutral bootie for fall/winter, these are it. They are one of the more affordable booties in the sale and really high quality! What I love the most is the heel height...the 2.5" heel is comfortable and almost feels like a flat bootie. They also have a fun perforation detail in the back. I bought these and will most likely keep them but I plan to try on more this weekend and compare. Here's this tee in the hushed violet color and in a size medium. You can definitely size up or down, depending on how you want the fit. It's really cute over sized, but I ended up buying the small for a closer fit. I bought the cordovan color (I can't resist burgundy), but I may order this one too. This is definitely one of the most popular tees in the sale...I'm sure it will sell out, especially in the black + white stripes. It comes in a few other colors too (I LOVE the olive). This tee is so comfy and a great basic for the fall and winter seasons! I'm wearing a size small. 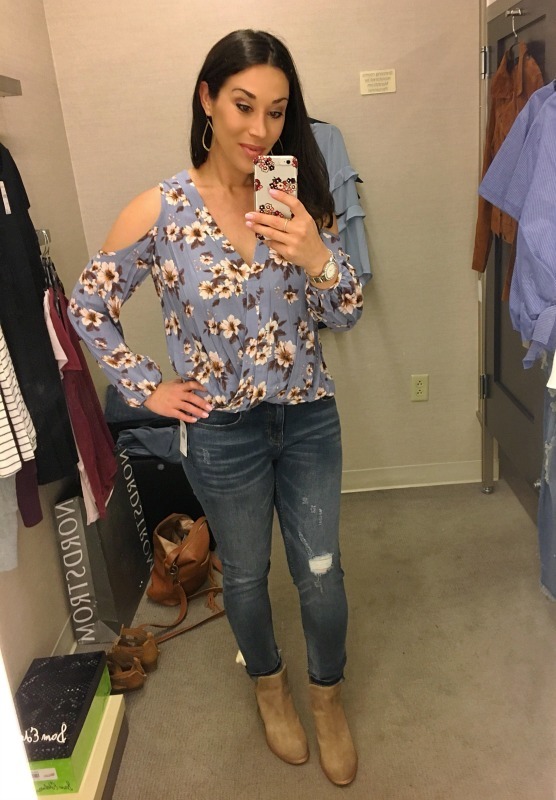 This is definitely one of my favorite tops in the sale!! I saw this in stores yesterday and thought I'd try it on. I ended up LOVING it!! The style is so unique and really flattering. It's one of those tops you can wear to lunch/dinner, going out, shopping, etc. Shorter tops are definitely coming back into style. I suggest wearing a mid to high waist jean with this so your stomach isn't sticking out (LOL). I didn't think twice about buying this top!! For reference, I'm wearing a size small. I like this top, but I didn't end up getting it. The tie fell at an awkward spot and showed my stomach (maybe I should have tied the knot tighter?). 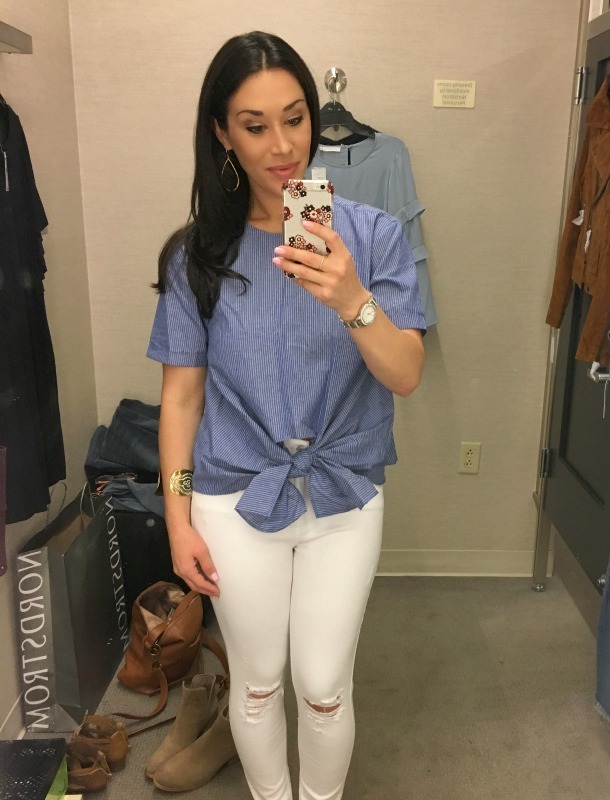 I tried on these high waist white skinny jeans to try fix the problem...it helped but I still wasn't thrilled with how it looked on me. It is a really cute top though and also comes in white! I definitely like the blue/white stripes better. I'm wearing a size small in this pic. These are cute if you're looking for a distressed white skinny jean. They are not included in the sale, though. FYI- they are pretty form fitting and not very forgiving in the back! This top is another favorite of mine in the sale. I ALMOST bought it and put it back at the last second. I'm rethinking that decision now! 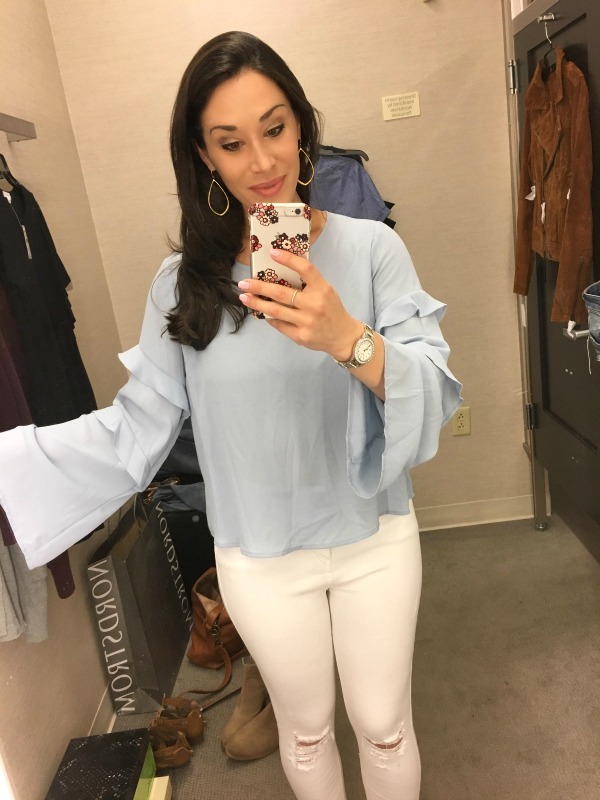 The ruffle bell sleeves are right on trend and absolutely adorable!! I'm loving the light blue color but it also comes in black, polka dot and floral prints. I'm wearing a size small. 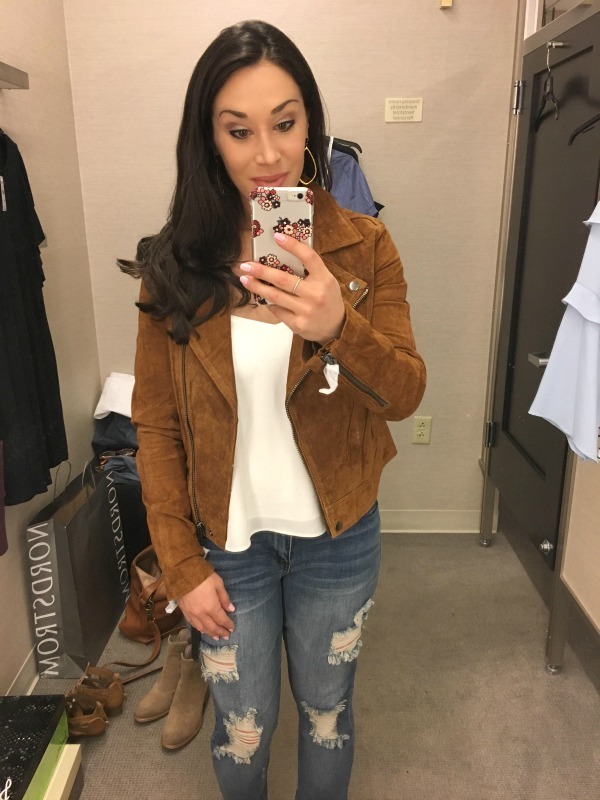 This jacket is to die for!! The suede is beautiful and feels amazing on. It comes in gray and red too, but I like this spice color best! I'm wearing a xsmall in this picture because that's all the store had, but I would definitely need a small. It's a little pricey, but worth it if you're looking for a great moto jacket for fall. I didn't buy it, but I'm considering it! This cami isn't in the sale but it's a great wardrobe basic for under cardigans, blazers, jackets, etc. Topshop sizes run pretty small. I'm wearing a size 4 but could probably use the 6. These distressed jeans are SO CUTE and affordable! I love the wash and frayed bottoms (see full length below). They are supposed to be cropped, but I'm 5'4" and they are ankle length on me. The reason I didn't buy these is because they can't really be cuffed with the frayed bottoms, so they wouldn't work well with most booties. They look awesome with heels, wedges and sandals, though. With booties, they would work better on someone taller. 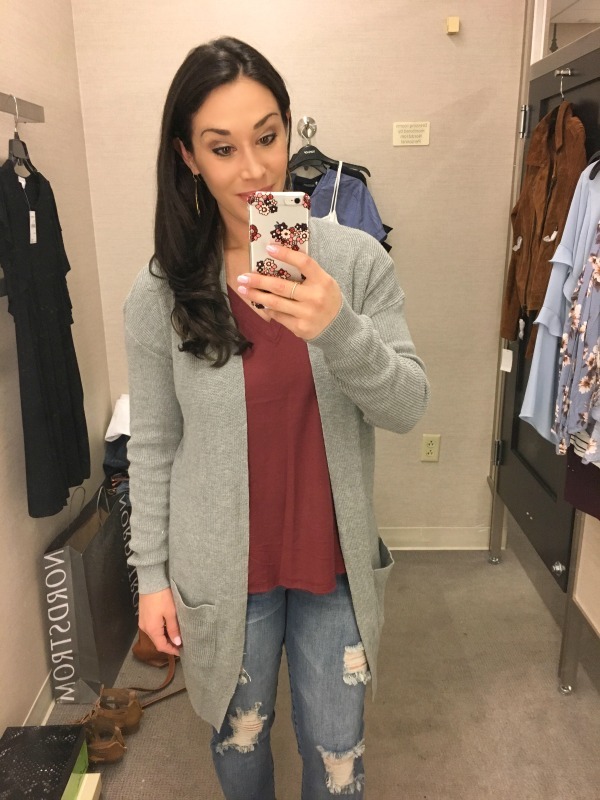 This cardigan was one of the most popular items in the sale last year. I didn't buy it and regretted it, so I snagged one yesterday!! I live in these open front cardigans throughout the winter with jeans and booties. This one is super soft, has pockets and is the perfect length. The burgundy is gorgeous!! FYI- it runs big and I'm wearing the xsmall. Here I'm wearing the gray color, also size xsmall. This is an adorable wear now and later dress + it has POCKETS! It is SO comfy and the ruffle detail is playful and feminine. It comes in 5 color options and I'm wearing the small for reference. Wear this dress with wedges or sandals now and open or closed toe booties in the fall! 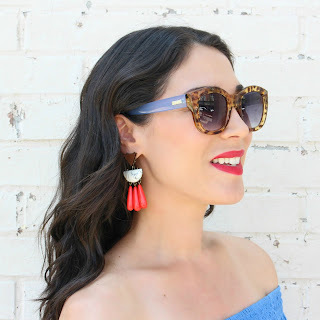 Here's a round up of my favorite fashion items so far! The sale is SO GOOD this year!! Many of these I saw in stores and tried on and others I spotted while browsing the site. These photos are clickable...hover over the photo for the sale price! I'll be posting more on the sale in the next few days here on the blog and also on my Instagram and Facebook. I've only briefly looked at beauty products in the sale, but I'll definitely do a round up post on those, so stay tuned! OKAY, who's going shopping this weekend! ?